Young performers will recreate hit broadway musical starting this weekend. Corbett Performing Arts Club actors will sing and dance as they tell the story of reptile best friends during a Gershwin-style musical starting on Friday, Nov. 2. 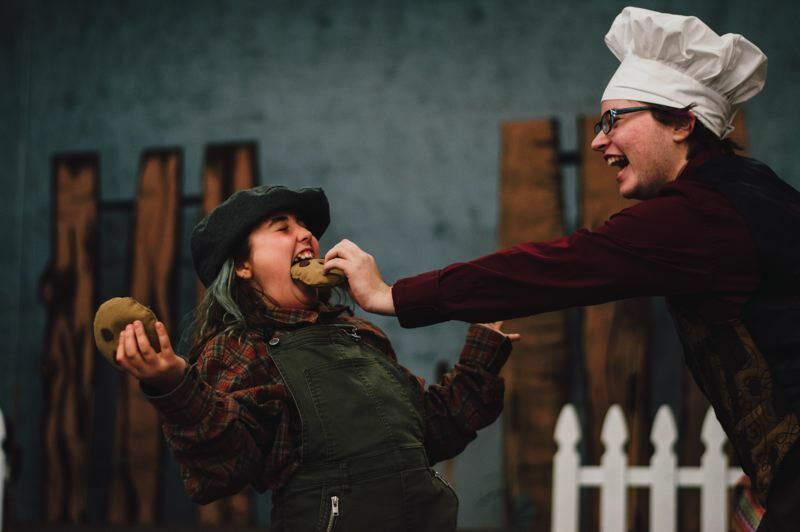 The play "A Year with Frog and Toad" is a whimsical production that depicts the tale of happy Frog and ill-tempered Toad. The play was a hit Broadway show that debuted in 2003. The show is based on Arnold Lobel's children's books, said Corbett Director Christianna Winters. The production combines seven or eight of his stories retold in a lighthearted musical way. "It's a very simple show. It's very much fun for the whole family and very warm hearted," Winters said. "It's an enthusiastic, toe-tapping type of show." The play will run from Nov. 2 to Saturday, Nov. 10, at Corbett School's Multipurpose building, 35800 E. Historic Columbia River Highway. Corbett Performing Arts Club is a volunteer youth theater company that operates through the support of the Corbett School District. With the exception of one actor who is 18 years old, the performers ages range from 9 to 13. There are 15 actors in the performance. Dress rehearsals began approximately two weeks ago, and the young stars have put in extra work to make their performances shine. "It's come together very quickly, and I'm very grateful for that," Winters said. "It's amazing to see younger people stepping into these roles that we would usually give to a high schooler." The play is lighthearted, funny and enchanting. "You can take anybody. It's so fun to watch," Winters said. "A kid was walking through the building, and ended up stopping and watching (dress rehearsal) for 20 minutes." What: The musical "A Year with Frog and Toad"
Cost: Admission is $7 for students and seniors. For all others tickets cost $10.